Choosing a career, there are lots of things you should think about. If you are looking for an exciting, rewarding and interesting job, welding is exactly what you need. Just learn about this career and you’ll fall in love with it. 4 Where Can Certified Welders Work in Minnesota? Working as a welder, your main duty will be connecting metal pieces. You are going to use various tools in order to heat, melt and join various metal elements. As you understand, you should have a bunch of various skills. Welders in Minnesota have a median salary of $42 870 per year ($20.61 per hour) while a median salary throughout the country is $39 390 per year ($18.94 per hour). The top 10% of welders all over the USA earn about $62 100 annually. At the same time, the top 10% of welders in Minnesota earn a lower salary which is $58 720. Where Can Certified Welders Work in Minnesota? In Minnesota, there are lots of opportunities for welders. 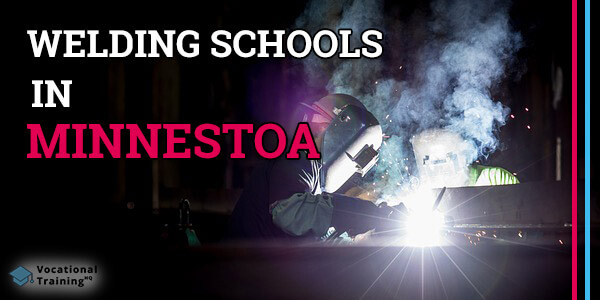 Below there is a list of the best welding certification schools in Minnesota.